Make journal entries for the transactions and post them to ledgers. 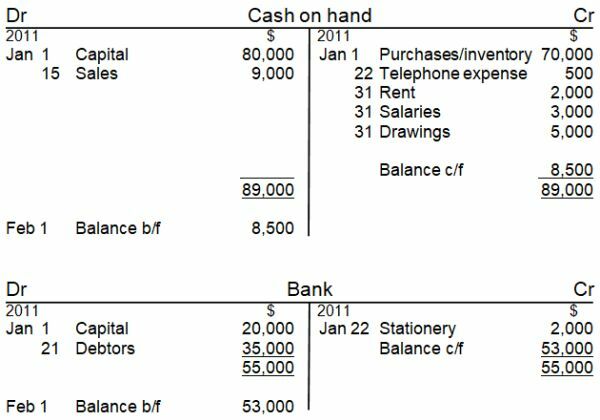 Note that in most accounting questions you won't have to account for "Cash on hand" and "Bank" in separate accounts. In most questions I just combine these into "Bank." But in this question they specifically talk about opening the bank account with $20,000 of the $100,000, which indicates they kept cash on hand in addition to the bank account, which needs to be accounted for. 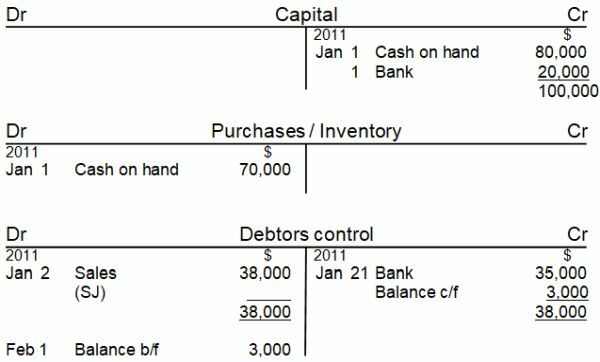 Note that it's "Purchases" for a periodic system of inventory and "Inventory" if it's the perpetual system. See the tutorial on perpetual and periodic inventory for more information. There you go. Hope you enjoyed this detailed journal entries and ledger question and answer. Thanks to Kay Khine, Kong Chenda and others for contributions below that helped solve this question! 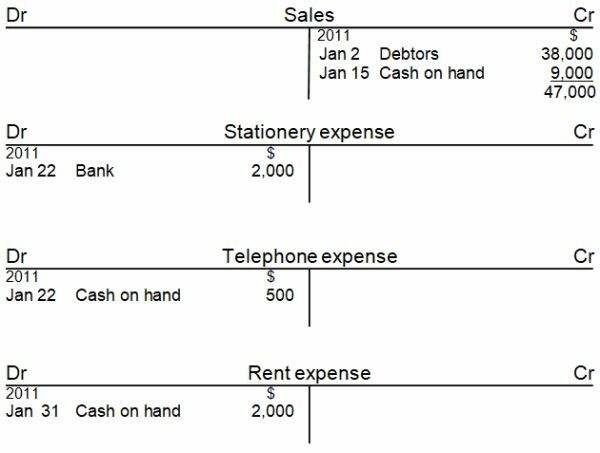 Find more exercises like this on the Full Accounting Questions and Answers page. All of ledger posting finished. How to Post These Entries? whatever you did is great but my question is HOW DO U POST THESE ENTRIES? I just added all the T-accounts above so there is the full solution now. Thank you so much. I found it helpful to me. God bless you. Glad to hear and you're most welcome! To record investment by owner. To record purchase inventory for cash. To record sold merchandise on credit. To record sold merchandise for cash. To record received payment from customer. To record purchase stationery for cash. To record paid for telephone. To record paid for salaries. To record withdraw by owner. II. Post to Ledger account. how do I do the posting? Posting to T-accounts now shown above. Enjoy!